In 1996, Dr. Hoskins received his B.S. degree from the University of Mississippi. Then in 2002, he received his dental degree (D.M.D.) from the University of Louisville School of Dentistry. Since then, he has been devoted to providing the most up-to-date and effective dentistry to his patients. He began his dental career in Greenville, SC as an associate at an established and leading dental practice before opening the doors to his own practice in February of 2007. 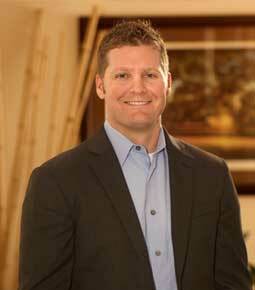 Dr. Hoskins provides unmatched leading-edge dentistry, delivered with the upmost compassion and sensitivity. It is important to him that patients truly enjoy their visit and the satisfaction of having or working toward great dental health. This extends to his personal enjoyment of seeing a smile on a child’s face with happy memories of their first dental experience, as well as seeing how much a new smile can improve a patient’s self image and joy for life. He and his staff regularly participate in dental education which allows them to educate and offer patients the most current knowledge and technology. Recently, Dr. Hoskins has completed extensive courses in aesthetic dentistry with neuromuscular occlusion from the world-renowned and respected Las Vegas Institute for Advanced Dental Studies. He willingly extends his focus on education by visiting local schools to educate young students on the importance of proper dental care. Dr. Hoskins provides comprehensive treatment to all ages. His expertise includes, but is not limited to, restorative care, cosmetic dentistry, invisalign, implant services as well as orthodontic devices for bite adjustment, TMJ symptoms and pain relief. He feels he has been given an opportunity to contribute to others with the practice of dentistry and is available to his patients on a 24 hour basis to relieve any pain and discomfort in an emergency situation. Out of respect for those who suffer with dental anxiety, his office has a calming atmosphere. The exam rooms are equipped with beautiful full-length windows, televisions above each patient chair, headsets for music and massage chairs for the treatment rooms. Patients of all ages and oral health conditions are important to him. He respects all who seek his help and advice and will do everything he can to ensure their comfort and earn their trust. He and his staff are especially committed to helping patients with dental fears and anxiety learning to relax and enjoy their dental experience. In 2002, he was certified by the South Carolina State Board of Dentistry. Since that time he has maintained membership in the American Dental Association, the South Carolina Dental Association and many other organizations including the Academy of General Dentistry. Dr Hoskins is committed to his family, church and community and willingly contributes his time to related activities. He and his wife, Carrie, have been happily married since 1999 and are the proud parents of two wonderful boys, Christopher, age 8 and Hollis, age 5. They enjoy competitive dancing, physical exercise and camping with the family. Dr Hoskins enjoys a round or two of golf as well. HOSKINS FAMLY & COSMETIC DENTISTRY, under Dr. Hoskins’ leadership is constantly making advancements by implementing the most modern technologies and procedures in order to give his patients not only the best, but the most effective dental care.